The Pluto-shaped void in our hearts has yet to be filled by Planet 9, copious amounts of Ben & Jerry’s, or anything. 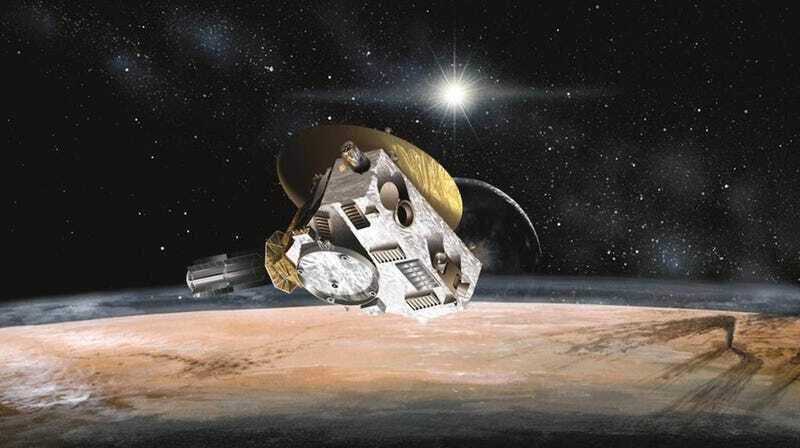 Ever since the summer of 2015, when NASA’s New Horizons performed a six-month-long reconnaissance flyby study of Pluto and its moons, fans of the dwarf planet have wondered if or when we’d ever go back. According to New Horizons principal investigator Alan Stern, he and some other planetary scientists are already drawing up the blueprint for a return trip—and this time, it’d be much more than just a flyby. New Horizons, which left Earth on January 19th, 2006, was able to provide us with an unprecedented look at some of the mysterious worlds of the Kuiper Belt, including Pluto, its large moon Charon, and four baby moons—Nix, Hydra, Styx and Kerberos—which are very appropriately named for the Greek underworld gods. We discovered that Pluto is an astonishingly dynamic place, with mountains, chasms, a billowy atmosphere, and maybe even a massive subsurface ocean. Best of all, we learned that the icy world has a soft side, with some unforgettable New Horizons images of the dwarf planet’s heart. Still, many lingering mysteries remain. Pluto might have wind-blown dunes on it, features thought to be impossible before the flyby. Its mountains, which are made of frozen water, could reveal many secrets about geologic activity on the dwarf planet today. With so much left to learn, the only way to get answers is to go back. And unlike the New Horizons flyby, which didn’t spend enough time loitering to even map both of Pluto’s hemispheres at high resolution, much less monitor changes on the surface, an orbiter that remains in the Pluto system for several years would be able to do both. By October, Stern expects that the team involved with the orbiter concept will have grown substantially, maybe with 100 scientists involved. He thinks another trip to Pluto has the potential to gin up public interest in the same way that Enceladus and Europa have. “Just like Ocean Worlds, it’ll catch fire,” he said.